In many countries, what Colin Hemmingsen has done all his life would not be considerd so unusual. But in New Zealand he has been a rarity, a musician who has had successful careers in both classical music and jazz. 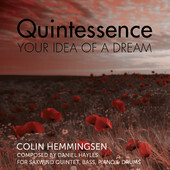 Hemmingsen was for many years the principal bassoonist in the New Zealand Symphony Orchestra but also worked extensively playing jazz saxophone (tenor and soprano, he also plays clarinet and bass clarinet) on albums under his own name, and with the likes of pianist Phil Broadhurst (in the band Sustenance), drummer Frank Gibson and Mike Nock. 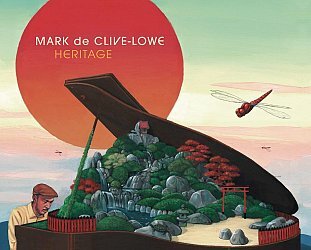 He was a solost on Kevin Clarke's award-winning Once Upon a Song I Flew in 2003 and his own album The Rite of Spring was a finalist in the New Zealand Music Awards, jazz section, in 2006. 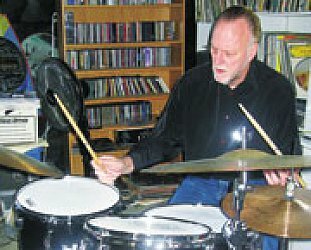 Hemmingsen graduated in music from the University of Auckland in '68, studied jazz in the States for four years in the early Seventies on a Downbeat scholarship to Berklee, and subsequently also went to the New England Conservatory on a classical scholarship. 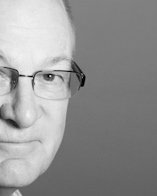 He returned to New Zealand in the mid Seventies, joined the NZSO and was on all their recordings from 1977 to '92, and a few between '92 and '96 playing bassoon and saxophone. 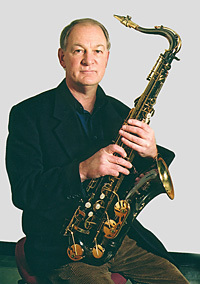 He is a senior lecturer at the New Zealand School of Music Jazz Performance degree programme in Wellington (improvisation co-ordinator and saxophone) and also teaches classical bassoon. He has presented a number of papers including one on Eddie Daniels. It was at the school in Wellington where he met Canadian composer and trumpeter Dave Lisik (interviewed here) who teaches composition there and is a prolific recording artist (see here). 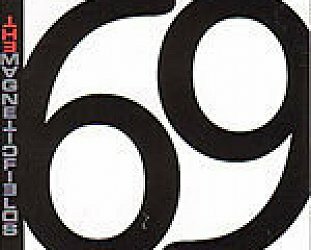 In 2011, with Lisik on electronics and Hemmingsen playing saxophones, clarinets and bassoon, they recorded the improvised album Fate and the Processor for the Rattle label. 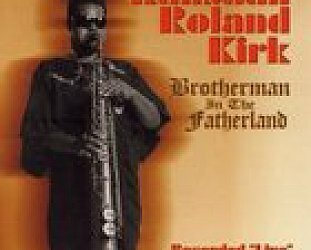 Interestingly the album doesn't appear on the label's jazz imprint, and that is perhaps more a reflection on listeners' definition of "jazz" than its content. But here are pieces in which wide-eared jazz listeners might hear in Hemmingsen's playing aural reference points like the Art Ensemble of Chicago and Ornette Coleman . . . although these are mere hints and colours in the larger canvas where multi-track recording allows his bassoon and bass clarinet parts to offer sometimes dark and swirling undercurrent to pieces which refer to nothing outside themself. Like stand-alone soundtrack pieces to an esoteric European film, some have an unnerving quality (Serious As, the lengthy Complexion at the mid-point which opens with the promise of romance) as the various melodic lines from Hemmingsen weave and intercut each other and with the electronics by Lisik adding another disconcerting quality. Hemmingsen doesn't entirely abandon himself to this, the 34 second introduction to Playing Defense is a delightfully romantic melodic solo . . . and then when the piece actually begins a brooding and busy eddy of intruments and electronics creates an exciting sonic bed out of which every now and again an instrument emerges to take prominence before being sucked into the vortex and another appears. 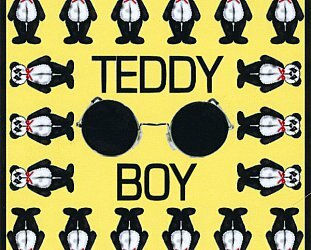 It is an exciting and innovative piece which owes a slight nod to Coleman, as is the similarly conceived final track, the 10 minute Habitual Consciousness. 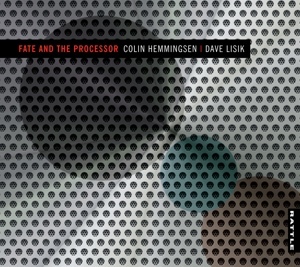 Fate and the Processor exists at the crossroads of contemporary jazz and classical improvisation -- there are strong minimalist elements in play too -- and is a welcome return to the studio for Hemmingsen whose catalogue of albums under his own name has been rather too sparse (although he appeared on the Norman Meehan/Bill Manhire album Buddhist Rain on Rattle in 2010). That he should explore this challenging and rewarding direction with Lisik seems an unnatural bonus. And by a sudden coincidence, there are two new albums prominently featuring Hemmingsen, both of which have him joining pianist Mike Nock on albums of Nock compositions, and each could not be more different again. 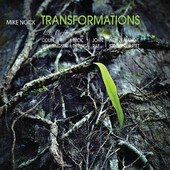 In the liner notes to the album Transformations, pianist and author of the Nock biography Serious Fun, Norman Meehan notes that this single, 42 minute piece is fully transcribed music and has its origins in a work of the same name first performed by Nock as far back as '86. 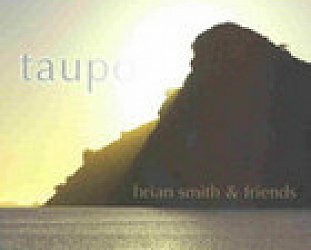 In subsequent years it has undergone a number of expansions and revisions (for string quartet and jazz group, for chamber orchestra etc) and for this most recent performance -- bassist Nick Tipping, drummer John Rae and the New Zealand String Quartet, recorded live in October 2010 on the occasion of Nock's 70th birthday -- the composer again made revisions. He generously recast some of it for Hemmingsen's clarinet. As with the Hemmingsen/Lisk album above, this music is at the interface of classical and jazz, but could not be more different as it looks to much older models. There is some slight element of the romanticism of Rhapsody in Blue here (and Arthur Blythe's album with strings, Basic Blythe) but that is placed in the context of, and integrated with, the string quartet and Nock's piano. Some of the string passages are lively -- pushed by Nock and drummer Rae -- but it is Hemmingsen's clarinet or saxophones which are central all the way. Sometimes there is angular swing element to them (with Nock's hard comping) and at other times the sax edges towards post-bop. But this piece seldom stays in one place too long, ideas are explored and then come to a conclusion, and a new aspect or direction opens up. It is telling this original piece was Transformations I, II and III. You get a clear sense there are separate movements here -- much of the central part/movement belongs to the strings (Nock has cited Bartok's string quartets, presumably the later ones) with Hemmingsen's clarinet evoking Broadway of the Thirties as the quartet adopt a more wistful tone -- then Tipping is allowed a slow and thoughtful solo section. There are some fine and furious minutes of almost free playing (although you do wish for more fire from Hemmingsen at this point) and the final third adopts a more reflective tone until the quartet enters (Bartok dancing with jazz as the liner notes suggest?) and after a short and focused drum passage this winds down with a quiet denouement and final fast flourish from the quartet. Cue loud applause. This album is another fine example of Hemmingsen's musical and emotional breadth and his technical grasp, and as different from Fate and the Processor as you could imagine. But wait, there is more . 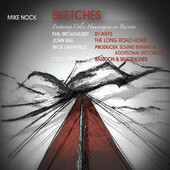 . .
Because for Sketches (recorded around the same time) with pianists Nock, Broadhurst and Anita Schwabe, we find Hemmingsen in different contexts again: playing bassoon and sax with a jazz quartet (Hemmingsen with bassist Tipping, guitarist Nick Granville and drummer Lance Phillip) and chamber orchestra for Nock's title track; then playing sax with Broadhurst and the chamber orchestra on the pianist's Byways; and finally with drummer Rae, bassist Paul Dyne, Schwabe, guitarist Nick Granville and a string quartet on Rae's The Long Road Home. In the space of one disc, Hemmingsen picks up the challenge of these different settings. Nock's Sketches (commissioned by Hemmingsen) is an exceptionally beautiful and mellow piece where the bassoon and strings have an almost North African lilt in places, although Nock rightly also draws attention to the Brazilian influence (evident in Granville's guitar part especially). Broadhurst's Byways is a reflective showcase which harks backs to a much more romantic era (at times in Hemmingsen's gentle playing a lullaby for Broadway/Birdland, at others when Broadhurst takes the solo a Parisian walkway in the late evening mist). And Rae's The Long Road Home again locates us in a place where thoughts and memory combine in a cinema of our own imaginings as Granville briefly takes us to a Madrid we might never have visited . . . before that urgent string quartet and Hemmingsen's soprano have us rushing for the plane and Schwabe lets us relax in the lounge before take off. Quite a blissful journey. In all of these pieces you not only hear mature composers at work, and finding the players to realise their sonic vision, but central to them is Hemmingsen. 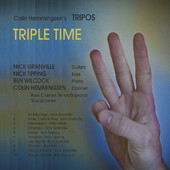 So despite a lengthy creative and teaching career in the parallel worlds of jazz and classical music, Colin Hemmingsen has often been under-represented on disc, or at least not with the continuity he deserves. Happily, in recent months that seems to have been rectified . . .
And wait ........................ there's even more!